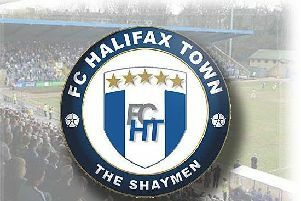 FC Halifax Town manager Neil Aspin described his side’s defending as “diabolical” after they were beaten 3-2 by Torquay at The Shay. Town are still without a point in the National League after their third consecutive defeat, with all three of Torquay’s goals coming through poor Halifax defending. Aspin said: “It’s possibly the most disappointing of the three games, because we’ve scored two goals and still lost. “You’d have to say again it was diabolical defending for the goals. “If you score two goals at home you’d expect to be getting something from the game, so it’s very disappointing. “We’re all frustrated, especially myself. I’m down at the moment and we’ve got a difficult game on Tuesday (at Tranmere). The Town boss was particularly disappointed to concede twice from set-pieces but was unhappy with the manner of all Torquay’s three goals. “All three goals were down to poor defending,” he said. “Sometimes you hold your hands up when you concede goals and say it’s a good bit of play but, again, it’s three really poor, poor goals we’ve conceded. “Set-pieces are always a big part of any game as we know from last season. “You’ve got to limit how many you concede. “They’re obviously a threat from set-pieces but we should have handled it better. “The first one, yes you could say on another day it doesn’t loop in, we’re a little bit unfortunate with that. Aspin credited his side for battling back twice but wants to see more of that from his team. “We’ve shown a little bit of fight but not enough fight for me,” he said. “We need to work harder, fight harder and play better. “But if we defend like that we’re just not going to win any games. Jordan Burrow took his tally to the season for three with his brace, but Aspin said that was overshadowed by his side’s generosity at the back. “On any other occasion you’d think he’s a positive with the fact he’s getting goals,” he said. “But if you’re not keeping them out at the other end he’s not going to be able to get points on his own. Aspin said Town were their own worst enemy at times and that any good work in attack was undone by poor defending at the other end. “I thought we were OK going forward but if you keep conceding it deflates everyone on the pitch, you can see it, and you can’t get any momentum because you’re chasing the game,” he said. “It does affect people’s confidence, there’s no doubt about it. “It’s very hard to evaluate in terms of going forward when you keep conceding at the other end.